WASHINGTON (AP) ― Ten world-class soloists put costly Stradivarius violins and new, cheaper ones to a blind scientific test. The results may seem off-key to musicians and collectors, but the new instruments won handily. When the lights were dimmed and the musicians donned dark glasses, the soloists’ top choice out of a dozen old and new violins tested was by far a new one. So was the second choice, according to a study published Monday in the Proceedings of the National Academy of Sciences. 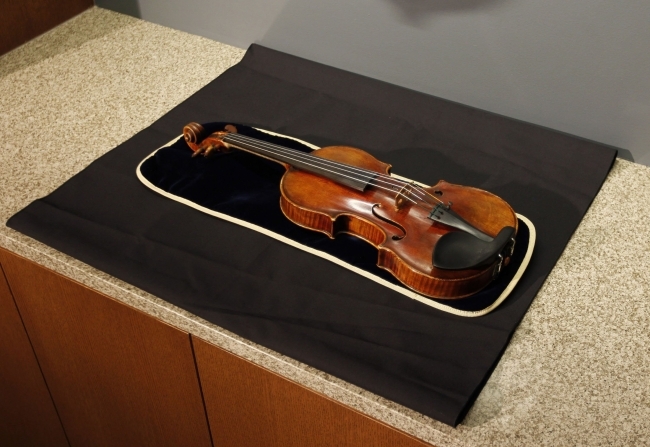 The idea was to unlock “the secrets of Stradivari,” the study said. “I remember trying the old violins and the new violins among ourselves just before the testing got going and saying, ‘You know maybe the old ones will win,’” Curtin said. Canadian soloist Susanne Hou has been playing a rare $6 million 269-year-old Guarneri del Gesu violin and knows what she likes and what she doesn’t. During the testing, some of the violins she played for only a few and then held the instrument out at arm’s length in noticeable distaste. But, like others, she was drawn to a certain unidentified violin. It was new. “Whatever this is I would like to buy it,” she said in video shot during the September 2012 experiment. Curtin said the researchers won’t ever reveal which instruments were used to prevent conflict of interests or appear like a marketing campaign. Classic violins “are still very good, but that when a level playing field is provided for making honest comparisons, the very best of the contemporary instruments stand up remarkably well in their company,” Woodhouse wrote in an email.